A motorcyclist suffered several broken bones in a Placentia car accident the morning of November 4, 2015. According to a news report in The Orange County Register, the incident occurred near East Orangethorpe Avenue and Richfield Road. Police say the motorcyclist was northbound on Richfield when a driver in a white SUV turned left in front of the rider in an attempt to go into a shopping center parking lot north of East Orangethorpe Avenue. the air, his helmet flew off his head and that he landed several feet from the collision. The motorcyclist was transported to an area trauma center with multiple fractures. But he is expected to survive. No citations or charges were reported. The investigation is ongoing. There were no fatalities, but six injuries reported as a result of motorcycle accidents in the city of Placentia, according to California Highway Patrol’s 2013 Statewide Integrated Traffic Records System (SWITRS). 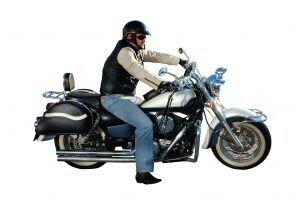 In Orange County as a whole, 30 fatalities and 989 injuries were reported due to motorcycle crashes during the same year. Based on this news report, it appears that the collision between the SUV and motorcycle occurred when the driver was trying to make a left turn into a shopping center’s parking lot. If the driver is determined to have been negligent or at-fault here, he or she can be held financially responsible for the injuries and damages caused. Injured motorcycle accident victims can seek compensation for damages such as medical expenses, lost income, hospitalization, rehabilitation, pain and suffering and emotional distress. Victims would also be well advised to contact an experienced Orange County motorcycle accident attorney who will fight to protect their rights and help ensure that they receive maximum compensation for their losses.